There is a lot of content in Tipu in order to offer as much support to your Tipu programme as possible. But don’t let it make you think Tipu is complicated. It is a very straightforward approach. 1. Sell management on the idea of “relaxed” improvement – this is the hardest step. 2. Find a Service Architect: someone who understands your environment and ITSM theory enough to manage the overall design and activities. 3. 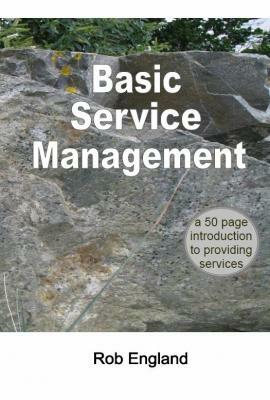 Prioritise the components of service management. e.g. Using Tipu’s spreadsheet for Capability, Risk and Outcomes: get a selected set of stakeholders to fill in the spreadsheet, then use common sense to pick out the top priority ones. 4. Calculate how many people will be working on BAU improvement. If some people are part-time on projects, then pro-rata their effort to calculate the total number of FTEs. Take 5% of that to estimate Tipu effort over a 12-week cycle or Sprint..
5. Start adding Tipu tasks (“mahi”) to the Tipu planning spreadsheet (from the list of mahi in the back of that spreadsheet and any others you care to add), choosing from the highest priority areas. Plan 3 or 4 Sprints ahead. Get some help from an ITSM consultant or from the author, Rob England of Two Hills, to decide what should come first and to estimate the effort. 6. When a first draft is ready, workshop the plan with staff. Listen to feedback and adjust. You may want an expert facilitator to help in getting agreement. 7. Group related tasks into assignments. 8. Run a meeting of all staff. Explain the plan. Get volunteers for each team to do an assignment. Make sure no-one over commits, and everybody contributes. Set the expectation that this is the first Sprint so things may not be perfect – we are learning and improving our method. Explain “relaxed”. 9. Get volunteers to form a Service Excellence team to keep people motivated, informed, and involved. 10. Get the Service Architect to brief each team: background theory, constraints, expectations, what other teams are doing. 11. Each team researches the needs/problems/risks, and decides the options. A Programme Manager tracks and reports their progress. 12. Get the Service Architect to review each team’s proposal and advise/guide them. 13. After 6 weeks, each team presents the options and what they propose to do. A Board of senior stakeholders says yes, or directs them to do something different. 14. Each team makes the decided improvements. A Programme Manager tracks and reports their progress. 15. After 12 weeks each team presents their results. If we get 70% successful outcomes we have done OK.
16. Work out if the total effort was too much or too little for the staff to handle in one Sprint. Re-plan the next few Sprints and repeat. The rest of Tipu is elaboration and refinement of this approach.